Gambling is popular among African migrants in Finland. The Finnish lottery, for example, is highly patronised by many active African migrant gamblers and those who have gambled before. Many of these migrants also know that some types of gambling like poker and online games have been linked with criminality or organised crime, prostitution, and internet fraud. African migrants in Finland are generally suspicious of the police, but concerning gambling they do not see the need for any police involvement. There seems to be an absence of crime and policing in African migrants' gambling, which is a relevant finding in this study. But then, are the unemployed who engage in gambling committing a crime or would they be prone to criminal acts? This is an area worth researching deeper into. This chapter explores African migrant gamblers' ideas about their gambling and policing in Finland. 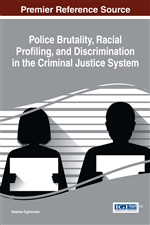 The chapter is based on data from qualitative studies conducted in 2009 and in 2011-12 using interviews, conversations and questionnaires. which indicate the level of involvement with games and may not be issues for concern. There is an association between gambling and crime. According to Smith, Wynne and Hartnagel (2003), gambling-related crimes include illegal gambling, criminogenic problem gambling such as forgery, embezzlement and fraud, gambling venue crimes like prostitution and vandalism, and family abuse. In Finland, police records show gambling-related crimes— suspected online-related crimes, suspected crimes relating to lifestyle-gaming crimes, suspected crimes involving a gambler as a victim, criminal activity related to problem gambling, and intimate partnership violence (Kuoppämäki et al, 2014, p. 967). All these may require police presence or involvement. Many African migrants2 know that some types of gambling like poker and online games have been linked with criminality or organised crime, prostitution, and dangerous internet fraud (Griffiths, 2003). But, as far as their gambling is concerned, the African migrant gamblers in Finland did not see the need for any police involvement. Why this is the case is the focus of this chapter. The discussion of African migrants’ gambling in Finland begs for attention, and how gambling is generally organized in the country should be explored further in order to see how the police can be involved in reducing crime relating to gambling in the country.